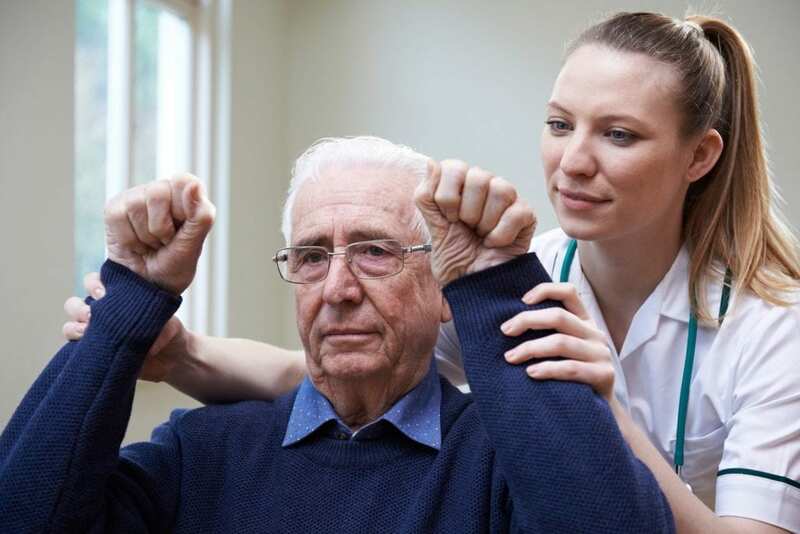 As the shortage of nursing professionals pose a challenge to the health care needs of the bulging senior population, nursing assistants and other unlicensed professionals will step up to help relieve the burden of care in acute and long-term care facilities. With a goal of increasing the caregiver workforce, the state of New Jersey has approved nursing aide training programs at multiple locations throughout the state. The goal of the program is to quickly, within 4 to 8 weeks, prepare adults to fill caregiver positions in long-term care. Graduates will be eligible to sit the New Jersey NNAAP to be added to the Nurse Aide Registry. The job outlook for Certified Nursing Assistants is positive as the demand for these providers of care is rapidly outstripping supply. Filling the vacant positions is a top priority for employers so that CNAs may benefit from sign on bonuses and other incentives. Long-standing vacancies affect the ability to care for those in need. Many CNAs move on to the profession of nursing after gaining some experience caring for patients in this entry-level role. Others choose to stay in the role and pursue certifications, mentorship opportunities, and further training to provide the best quality care in the evolving health care system. The nursing assistant program at Nursesvue Careertek prepares students for entry-level employment in just 5 to 6 weeks. 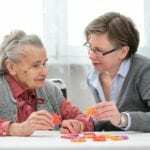 The short-term trained taught by experienced instructors include instruction in the classroom and supervised patient care experiences in a long-term care facility. Topics such as vital signs, the role of the nursing assistant, infection control, range of motion, rehabilitation and restorative techniques, Alzheimer’s care, personal care, nutrition and feed, and safety and emergency procedures ensure students have the knowledge and skills required to use critical thinking and practice within the legal and ethical guidelines of the profession. Students are empowered to become agents of change and pursue further study to have a positive influence in the society at large. Students must make an initial deposit of $250 followed by structured payments. The cost includes books and uniforms. Com-Tech facilitates a nursing assistant program that is approved by the New Jersey Department of Health and Senior Services. The program covers 90 hours of instruction in the classroom and practical experiences in an approved nursing facility. Students spend 50 hours in the classroom and 40 hours in a long-term care facility. The duration of the program is 6 weeks. Experienced instructors emphasize the concept of human caring, so graduates will be prepared to deliver high-quality care to all patients. Graduates will be able use their knowledge and skills to provide direct resident care under the supervision of a licensed nurse, accept responsibility for the quality of care provided, demonstrate respect for patient dignity, perform restorative interventions, use problem solving techniques to meet the needs of patients, and integrate the concept of caring in practice. Graduates are eligible to sit the state exam to become a Certified Nursing Assistant. Course topics include introduction to medical terminology, responsibilities of the nurse aide, communication and interpersonal skills, introduction to long-term care, infection control, care of the resident, the resident environment, coping with death, accident prevention, emergency health care, residents with dementia, emotional needs and support of the resident, observation of physical changes, monitoring fluid intake, resident need for activity, and postmortem care. Students will also learn job readiness, which includes punctuality, internship experience, role-playing techniques, leadership, and resume preparation. Tuition costs $3,725 and does not include the cost of books and supplies. Divine Healthcare Services facilitates nurse aide training to prepare adult students with the skills, knowledge and ability to provide empathetic and compassionate care to residents in long-term care facilities. Graduates will be eligible to sit the New Jersey exam for licensure as a Certified Nurse Assistant. Applicants must be 17 years or older, have a high school diploma or GED or pass the TABE, and attend an interview with an admissions officer. The nursing assistant training program at 4 Tees Healthcare Training School is approved by the New Jersey Department of Health and Human Services. Students receive instruction in the classroom and participate in patient care experiences in an approved nursing facility. The clinical experience will be conducted under the supervision of a licensed nurse. Graduates will be eligible to sit the state exam to become a Certified Nurse Assistant. Areas of study include infection control, the role and responsibility of a nurse aide, monitoring patients, range of motion exercises, measuring fluid intake and output, nutrition and feeding, Alzheimer’s care, and coping with death and dying.